When we were little, we had our parents to look to. They taught us and helped us grow. As we got older, we added teachers to that list of adults who taught us. We didn’t just learn academically, we learned about ourselves as people. We learned what we wanted out of life, and what we wanted out of ourselves. Some of us were fortunate enough to have grandparents in our lives. Their wisdom was unmistakable. They loved us unconditionally and encouraged us as we grew. Then we became adults. We started doing the teaching; as parents, aunts, and uncles. Yet, just because our age had matured, we understood that there was still so much in life we didn’t know. We didn’t have the answers to a lot of life’s questions. Life is ever changing and ever evolving. New situations come up often. New hurdles to overcome. As we grow in our careers, in our home life, and in age, it’s important that we always have mentors to look to. We need people in our life whom we can trust – no matter how successful or important we may be. No one has all the answers. No one knows how to navigate every circumstance. It’s important to always have someone older and wiser, who can understand what it’s like to be in our shoes. As we get older, the mentors we had as kids, often start passing away. It can get trickier and trickier to find someone who can lead us not just as a parent, or in a career, but as a person. But God always provides. And there is always someone out there who has just the wisdom we need. Someone who can speak to our heart and our circumstance right where and when we need it the most. Pray about finding a mentor in your life if you don’t have someone in mind who can fill that role already. You may find that that someone is right under your nose. Someone whom you know socially or in passing may be the very answer to your prayers. You may not need a mentor every day or for every situation. There will be times that between your own discretion, judgment, and answers from the Lord, that you know how to proceed in life. But there will also be times that you don’t. Times where you could use a good listening ear and someone who doesn’t judge, but is objective enough to offer sage advice. Identify that person in your life. Pray for that person to be in your life and utilize them. They are there to help you so that you can one day be a mentor for someone else. We are here for each other. To learn, grow, encourage, and advise. To help each other avoid pitfalls and mistakes. 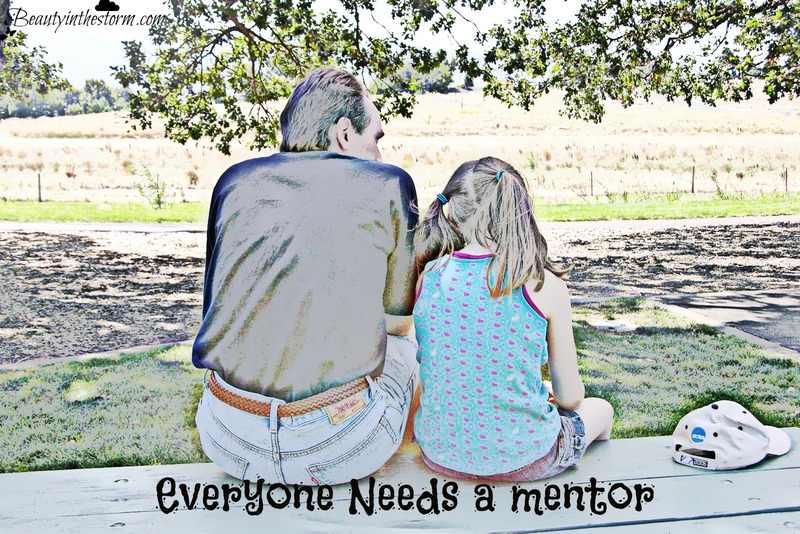 It’s not a sign of weakness to need a mentor – it’s a sign of strength. For you have the tool right at your fingertips to avoid a tragedy or life-altering error before it has to happen. That tool is your mentor. Use it. Be thankful for it. I love this article. Thanks for sharing... Just this morning I reached out to this lady about mentoring me on becoming a freelance writer. Thanks for sharing! Instead of "Big," Go "Small!"